In Photoshop, create a new document, 950 x 620px. Select black foreground color and dark grey (#384b55) background. Use Gradient tool and drag from lower-middle to the bottom of the document. 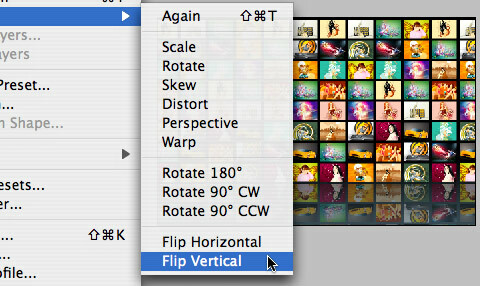 Then duplicate the thumbnail grid and apply flip vertical transform (Edit > Transform > Flip Vertical). We will need this duplicated grid to create the reflection effect. Drag the four corner anchor points and the two middle vertical lines slight upward to create the bent effect. Repeat previous step for the reflected grid. While you are dragging the anchor points, try to keep the reflected grid align to the top layer. Set the top layer opacity to 30% and bottom layer to 50%. Then apply a gradient layer mask to the bottom layer. Make a oval selection and fill it with a sky blue color. Apply 50px Gaussian Blur (Filter > Blur > Gaussian Blur). Condense it a little so it looks like a spot light. 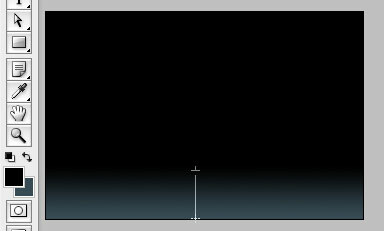 In Flash, create a new document exact same size as the Photoshop image. Copy & paste entire image in the first layer. 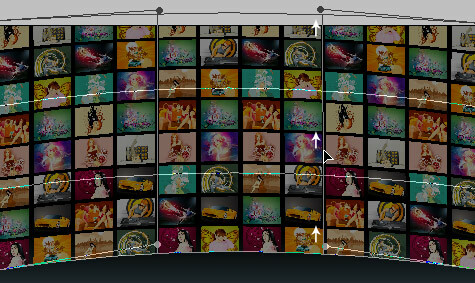 If you have the photoFlow component installed, simply drag the component onto the stage. If you don’t have the component, get one from Flashloaded or enter our Free photoFlow Component Giveaways contest. Now open the Component Inspector palette and you will see all available parameters. Here you can customize the component setting such as: XML path, autoflip, image dimensions, reflection, zoom effects… For more information on how to use photoFlow, please read the user guide. Since the gallery is loaded from an external XML file, you can simply update the XML file to add or remove photos. PhotoFlow component used in this tutorial is provided by Flashloaded. To get a free copy for yourself, don’t forget to enter our Free photoFlow Component Giveaways contest. Looks brilliant. Shame I’m not a huge fan of Flash. Thanks nick for sharing, really appreciated. I read somewhere that in Flash, to get rid of that aliasing when an image animates, you had to export in “High” quality and not “Maximum” quality. I once created a carrousel with external images through a XML file (just like you do) and exported in “Maximum” quality, and it looked very aliased. In any case, it looks wonderful, I will surely use it. I sent you an email to congratulate you on this great website, and I’ll say it again: I love this site. Keep it going on. How did you create that thumbnail grid, I’m new to photoshop. How can i use different xml files? If i want to load different gallerys with different xml, where can i specify the xml filename? Thanks. How do you create a grid! Thx a lot you rock! Nice little tutorial. Essentially it is about creating a nice background for the Flash file though. Great job, I need a better photo flash gallery then the ones I use for my friends. Currently I am using slide show pro which is great and so is simple viewer but this looks a lot better and easier to use. He has done a very nice job indeed. Its called iTunes coverflow and is first on the top 10 examples in that website. but anyone know how can I change the photo size? goodwork & thank 4 it! I like the tutorial, my only problem with it, and the components listed in the comments is that they are not accurate, they simply skew/mask the images, rather than actually placing them in a perspective. Most people probably wouldn’t know the difference, but it is noticeable. 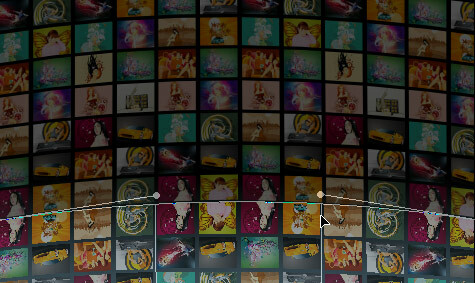 Though quietlyscheming’s DisplayShelf is good N99 is better because you can use your own images and just XML editing.Also the images move both ways with just the scroll wheel of the mouse itself. WOW Nick! You have done an excellent job. This is a perfect view of Web 2 Photo Gallery. This is awesome – thanks for showing the way to such great creativity and self expression. Great tutorial in such a creative setting! Looking forward to going in detail with this beautifull piece of software. Not only is this tutorial simply amazing, letting us in on the “secrets” of the pro’s – but giving it away to the masses makes us all better designers. Thank you. This is so cool – thank you so much for taking time to put this tutorial for us! That’s a really great tutorial. Thanks a lot! Keep them coming! If it can add ligthbox Click to enlarge it at the show, then more perfect! Great tutorial, very easy to follow. Is very easy when shown how! Thankyou. It looks very cool. Mac style background enhances the gallery! could anyone tell me how to create the thumbnail grid in photoshop…. We have got nothing but Love for this thing! What a fantastic website. I’m glad I stumbled upon this! Could anyone please tell me how to make a thumbnail grid in Photoshop? I’ve searched Google with no help. I’d really appreciate the tip. Thanks. yeah… how do you make a thumbnail grid??? PLEASE tell us? How can I use this tutorial. If I don’t have photoflow.. It looks very nice, thanks! I believe you can make a thumbnail grid under the file–>automate–>contactsheet or something like that. I’m at work right now, so I can’t confirm. You still might have to do some editing afterwards. Just one easy way. thanks for your great work, things like this make internet more friendly, i think so; for us… the begginers in web design. If you like this gallery, take a look at http://guckn.com ! 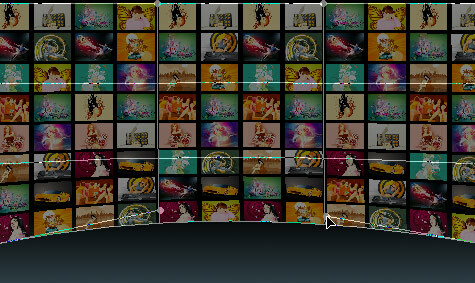 It’s shows your Flickr and Picasa photos in a similar way. 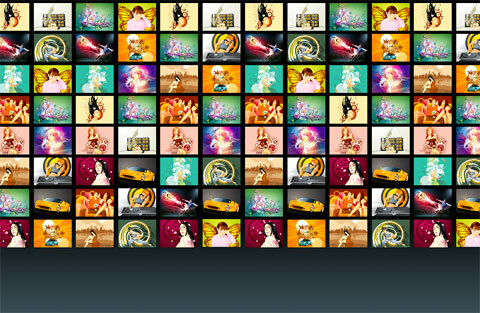 please send me , 2d beautty clip art toturial for tv ad . great stuff! how do you add a txt description to the image? something through the xml right? and adding dynamic txt box in flash right? Thanks for your great ideas,I also want to see your others product. just confuse how to upload this .swf on the internet..im upload but no picture appear..what should i do? 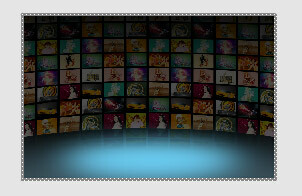 ?…something missing on my component or my uploading step..
amazing tutorial and download. xml photo galleries are making this technology more accessible to the common artists that might have perhaps a little technological knowledge and a lot of artistic vision/ambition. thank you for taking the time to put this together. o0k well, how can i give a link on active photos? for example, there will be some photos at bottom side of page that active, and we click on them to change photos. on a photo, i wanna give a link by clicking to go a another else web site. i dunno how to do that :( please help me! 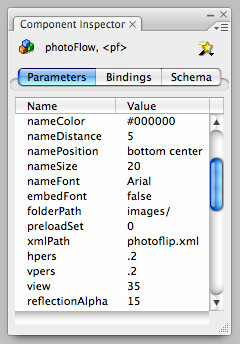 Since when do they charge for stuff on Kirupa.com (the photoflow component you have to download) – gah! Has anybody got a tutorial to write this not as a component? on a button or movieclip in Flash. The swf will get the images externally just like a browser will, so any files that are referenced in the xml file must be in the same place relative to the swf file. In other words, if your images are referenced as being in the ‘images’ folder, when you upload your swf you must also upload you images in a folder called ‘images’ in the same directory as the swf file. Also, your xml file must be present in order for the swf to get the image files. Upload everything and see if it works. I love this! I’ve been looking for a tut on this type of navigation since I saw it on the new iphone. I’m not pro, but I will be someday. I’m trying to teach myself everything I can and get all the programs possible to do that. Is there a way to perhaps rerun the contest? With two kids to homeschool, I’m broke lol. I’d love, and use, the photoflow! I would like how to make a thumbnail grid. Does anyone have any idea? I think to create a thumbnail grid the easiest way is get some images and make a square out of them (3 across, 3 down) put them into a layer set, then duplicate that layer set and move it around your page until the layer sets take up the size of your background. Thanks a ton for this tutorial. I don’t know if I would ever use it, as I’m not too into Flash stuff, but it looks pretty rad. Keep posting unique tutorials like this one. ok, so I’m downloading ps cs3 now to do the wrap effect because its not on ps 7 lol… but i just bought the photo flow for flash 8.. and its being shipped does anyone know how long it takes to ship this thing? thanks ! i am a chinaese !would like to make a friends with you.and my website is http://www.anvins.cn ,aslo i hope we can teach each other.thank you very much! SO Cool and Pro. I need it and it’s lucky when i can find it here. Thanks so much. could you please define what is the size of the thumbnail grid photo and if possible how to quickly make one in Photoshop maybe? Hi Guys, I am very late to enter the contest of getting photoflow component but would any of you guys be soo kind to give me a copy of this component please? :) I know its cheeky to as but by looking at the example, this looks soo professional and would like to do my own photo gallery websites. Any help appreciated, many thanks, Sahid. I love to win PhotoFlow, I need very badly !!!!!!!!!!!!!!! It looks great! I would love to include PhotoFlip onto my WordPress Site. How to I incorporate it onto wordpress? What I would liek to do, is to 1st get the demo version working on my wordpress site to make sure I know how to, before I design my own PhotoFlip with the guide given above. Any ideas, I am not totally knew to wordpress, but don’t understand that much about coding. How can i insert an external link (a href=”http://www.google.com”) to each picture ? awesome .. nice tips…. i find only one issue that it takes static images. It would be great if it take images from rss feeds (e.g. from flickr). Flash Specialist for building full flash websites. I am looking this gallery for one of my flash project. i wanna use photoflow.Its a really good effect. Thank you for your inspirational tutorial. Hi Love your flash but have a question (not so good in flash myself you c): Was wondering if it is posible to make a horizontal scroller so that you don’t need to click on every picture to get the next one? If there is would you tell me how to please? Perfect source for my next flash project. What a great and simply-like use of Flash …. you’re great !!!!!! Hi Love your flash but have a question (not so good in flash myself you c): Was wondering if it is posible to make a horizontal scroller so that you don’t need to click on every picture to get the next one? http://www.stevenwaltman.nl/sofie , whats the problem? is there any short cut to the new version of flash for photoFlow. Me pueden ayudar a saber como hacer esta Galeria en la web Desafio Esteli? What an awesome Tool! Im playing around with it as we speak. One question though. How do I change the background? Currently it set on a mosaic design, I want it to be all black. How do I go about doing this? Thanks a lot! Hey!! Man, WOW!! that’s a great tut there. You are a GOD of designing. I tried this ,got the component dragged it , modified the properties as you’ve showed here in the tut, but…… after publishing the images are not displyed. I can only see white , blank squares, I can flip them, though. What the prob could be? I’m using Flash 8 version. Please reply on my e-mail id designcharmer@gmail.com .I need it very badly!!. All I can say is overexposure to pure Awesomeness….!!! great tutorial…keep up the good work. I wouldn’t have thought to do it this way but that looks perfect. Excellent item. Really gives me something to think about. If PhotoFlow is cool, your post was even cooler! Thanks. This is really useful and will please most of us who can’t seem to get enough of Mac’s PhotoFlow. does photoflow work with flash cs4? Very pretty but is it possible to put a link on each photo? if anyone needs the photoFlow…i have it so just send me an email and i will send it to you. To AMY can u send me the PhotoFlow. Wicked version on photoflow mate, well done. Is there any chance of grabbing the the .fla file off you to learn how its done… Understandable if you cant. Amazing things. I want to learn this effect for so long. Definitely an amazing tutorial that I always wanted. Can you sent me photoflow at coupetet@yahoo.com thx ALOT!! Hi can you send me the Photoflow, thank you. How to take away the wall behind it? I just want black or white wall behind it? Can you do it in Flash 9? How to link the images to weblinks? thx bro, i searched i will use that backgorund with Xirod font!! This is wonderful stuff. Love to use it for a website. Many I know is’t okay to use it? Please let me know. Is the preview still working? are you paid by Flashloaded? Yeah nice, but a real let down. The reason I’m looking for tutorials is because I can’t afford to buy something!! Is there a way to change the background image in the free demo you gave here for download? Das Teil ist ja absolut genial. Kann ich die FLA dazu bekommen? I really like the post. I’m looking foward to reading more. TY! i see about this flash and it is really good. This Photoshop + Flash tutorial rocks!!!! Always a pleasure reading your sophisticated-ly engineered articles. Make a bored visitor into a customer. Custom website we design will convey a strong image for your customers. OH,it’s so helpful to me,and your blog is very good,I just couldnt leave your web site prior to saying that I definitely loved the quality facts you.You all do this kind of a great job at these Concepts… cannot tell you how significantly I, for one particular appreciate all you do! I understands the tutorial but upto photoshop part. I have added component as well in flash but now how to write xml for this? please help me. With havin so much written content do you ever run into any problems of plagorism or copyright violation? My site has a lot of exclusive content I’ve either created myself or outsourced but it appears a lot of it is popping it up all over the internet without my permission. Do you know any solutions to help prevent content from being stolen? I’d genuinely appreciate it. Hi, very nice design and still up to date !! I would like to use your gallery for my private website. can u send me the fash files (fla) pls, if u still have it. WOW! I love this tutorial. I’m gonna go ahead and do this, can’t wait to see the final outcome. Hey not to set off topic but can anyone give me overview of. New York Car Insurance Reform 295 Greenwich St, New York, NY 10007 (646) 351-0824 They are down the block with me. I was wondering if they were a good insurance company. I need to acquire coverage, it is the law you know, but I have to have a good price price plus I want friendly service. Wow – this is a great step-by-step. You really know how to use the products for great effect *sigh*. 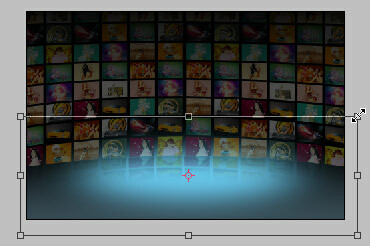 I love how you warp the image then apply the spotlight effect. I would never have come up with something like that. Any chance of getting hold of a few stem cells to give myself a cerebal upgrade? I’m only a man anyway so I have a decent excuse :) Well done and great work. My site has a lot of exclusive content I’ve either created myself or outsourced but it appears a lot of it is popping it up all over the internet without my permission. Do you know any solutions to help prevent content from being stolen?